2014(MMXIV): A Common Year of the Gregorian Calendar… the 2014th year of the Common Era(CE) and Anno Domini(AD) designations… the 14th year of the Third Millennium… the 14th year of the 21st Century… and the 5th year of the 2010s Decade. And there’s lots to do in Charleston! Oysters, our favorite bivalve mollusks, dominate the outdoor festival scene, with roasts held throughout the month in locations varying from the Charleston Museum to the Charleston Harbor Marina; from Boone Hall Plantation to Gold Bug Island. If you’re in the mood to shuck, come to Charleston: you’ll be in luck! If, however, you prefer your oysters be presented to you in the cozy comfort of one our legendary restaurants, the first month of the year is the time to visit: from January 8 – 19, one of the most highly-anticipated culinary events in our area occurs: Charleston Restaurant Week! 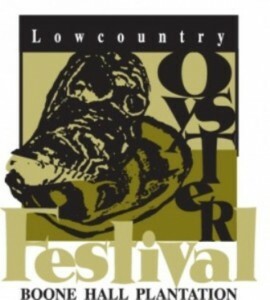 It’s an opportunity to enjoy the world-renowned cuisine of the Lowcountry as participating restaurants offer prix-fixe lunch and dinner menus consisting of three items for one price: 3 for $20… 3 for $30… and 3 for $40 menus are all the rage in Charleston during this event! January: start the New Year out with us; we’d love to have you!